Quick shots ... Rebuilding floor in the front section. We actually got through pretty much all of the ex-living room area. 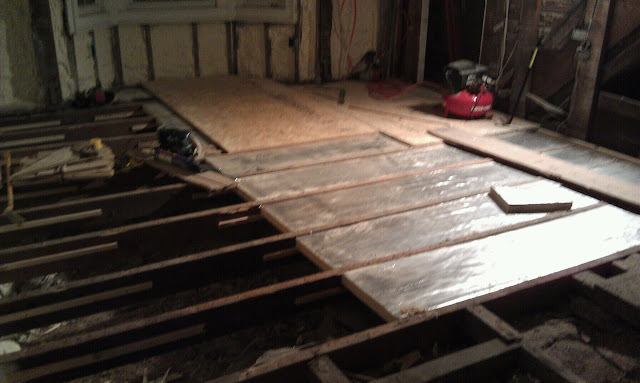 More floor tomorrow!